The AcademyHealth 2015 Annual Research Meeting (ARM) provided a high-profile forum for the Mayo Clinic Robert D. and Patricia E. Kern Center for the Science of Health Care Delivery (CSHCD) to showcase the diverse, high quality research conducted by center affiliated research teams. Mayo Clinic was well-represented, with 27 poster abstract authors, five oral presentations, and five participants in discussion panels throughout the symposium. Because ARM’s focus is health services research, which aligns closely with the science of health care delivery, the majority of these presenters were affiliated with the CSHCD. In addition to presenting research, attendees were able to network and build connections for future collaborations. 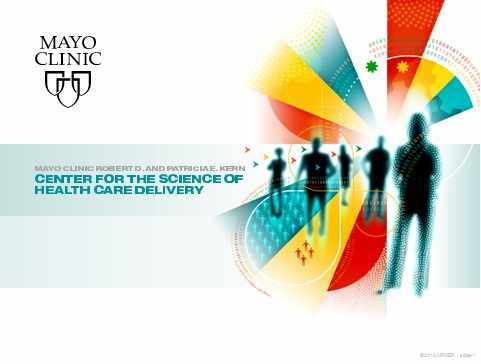 The CSHCD also was an exhibitor at the conference – in part to further share the work the center is doing, but also to serve as a means to connect with potential new delivery science researchers for Mayo Clinic. The center consists of five major programs designed to improve patient care while lowering costs: Value Analysis, Care Experience, Health Care Systems Engineering, Population Health Science and Surgical Outcomes. These research programs are built around the unique resources and multi-disciplinary expertise available at Mayo Clinic. The center is highly focused on the “science” aspect of care delivery — not simply on anecdotal evidence. Combining data analysis, health care engineering principles and health care delivery research, the center puts its theories, models and methods through the scientific rigor necessary to determine if we can improve patient care, outcomes and cost. Available positions that align with the center include Senior Health Services Analyst – postings are on www.mayoclinic.org/jobs and include #47625BR and #45745BR; as well as a number of consulting staff/physician research jobs. New hires can contribute to the center’s ultimate mission to translate research into real-world applications and practice improvements to benefit patients everywhere. Built around “the science of best practice,” the center’s educational program is taking delivery science research and conversation to the next level. Our largest event is coming up in September – Delivery Science Summit 2015 – in which we are bringing together thought leaders and key researchers around the theme “Building the Evidence Base in Health Care Delivery.” We hope to see you there!